You are right in that the past cannot be changed, but we should be willing to learn from it. As it stands, history is not being learned at this site. It is being ignored. If we want to learn from history, we must consider the entire picture, not just the facts we want to be true. No one is trying to change history at Cheapside – what we are trying to do is provide a more complete context. John Hunt Morgan led raids on his home state of Kentucky. He did not stay loyal to the Commonwealth, but rather fought against it. He owned slaves -- in fact, he may have been the biological grandfather of Garrett Morgan, whose grandmother was J.H. Morgan’s property. John C. Breckenridge, another slave owner, was Vice President of the United States, then turned his back on it to join the Confederacy, where he became its Secretary of War. He was also convicted of treason. Where is that history told on the statues? Where is your outrage for there not being a memorial to the slave auction site? One of the largest slave markets in the country was at that space – why isn’t that history being told? If you read the WPA Slave Narratives, you will see story after story of families being torn apart, Lexington mentioned explicitly. Shouldn't that history be remembered? Why are these two men being defended so strongly in the name of history, while simultaneously dismissing the history of all the lives taken at Cheapside? I was never in support of destroying those statues. The history surrounding their erection is particularly valuable. Those who erected the statues were trying to change what history was told. There was a conscientious effort to rewrite the story of the Civil War. That is why there are so many more Confederate statues than those to the Union in the United States. In Tennessee, there are several statues to Nathan Bedford Forrest, infamous for the Fort Pillow Massacre (where surrendering black troops were slaughtered, some crucified) and for founding the Ku Klux Klan. What's the worse travesty to historical memory? Leaving the statues to Forrest in place with no mention of his more notable contributions to history? Or tearing down statues to a man who started a domestic terrorist group? In my many years as a student and teacher of history, I have spent much time studying American and German history, with particular attention paid to World War II and the Holocaust. I do not believe that the concentration camps should be torn down. But if there were monuments to the guards at those camps, focusing on their being veterans with nothing to the death and destruction that happened at the camps themselves, wouldn't you be outraged? I was recently told that I should do research on my family to see if there were slave owners or veterans of the Civil War among my ancestors – the implication being that if there were, my opinion would somehow be changed. My response was this: If my ancestors owned other human beings, my opinion on memorializing their actions would be no different. Sharing a bloodline with someone does not mean I ignore or whitewash their actions. That connection would not make me willfully blind to history. For the record, they were neither. From what I know, they mainly came through Ellis Island. One set of great-grandparents left Germany before WWII began—though the Nazis did try to conscript my great-grandfather. If my great-grandfather had fought willingly for the Third Reich, would my study of history be different? My opinion of him may change, but not how I view the morality of his actions, nor of the appropriate way to remember him. The stories of my great-grandfather did have an impact on my interest in that period of history. However, that ancestral connection has never meant I have excused any of his actions – as an individual, as a German, or as a man of the time. Knowing one's history should not be about excusing the actions of the past. It’s not about heralding the good and hiding the bad. The actions of our ancestors do not have to dictate who we choose to be. The past cannot be changed, but the way we reflect on it, the way we study it, the way we remember it can be. Learn more about the campaign at www.takebackcheapside.com. 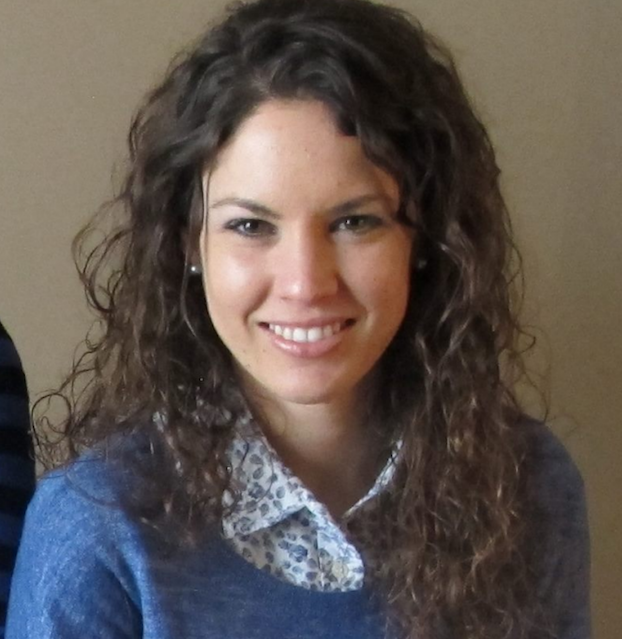 Carly is a graduate student at the University of Kentucky, working on her Ph.D. in Educational Sciences, Curriculum and Instruction. She recently completed a fellowship with the Southern Poverty Law Center’s Teaching Tolerance program. Previously, she was a high school social studies teacher in Lexington, Kentucky. She earned her B.A. in Secondary Education in Social Studies, Masters in History, and Masters in German Studies at the University of Kentucky, and her Masters in Education at Georgetown College. She is a member of various organizations advocating for stronger social studies education and active civic participation.